The latest game in the “toys to life” genre twists the formula: the toys aren’t required at all! 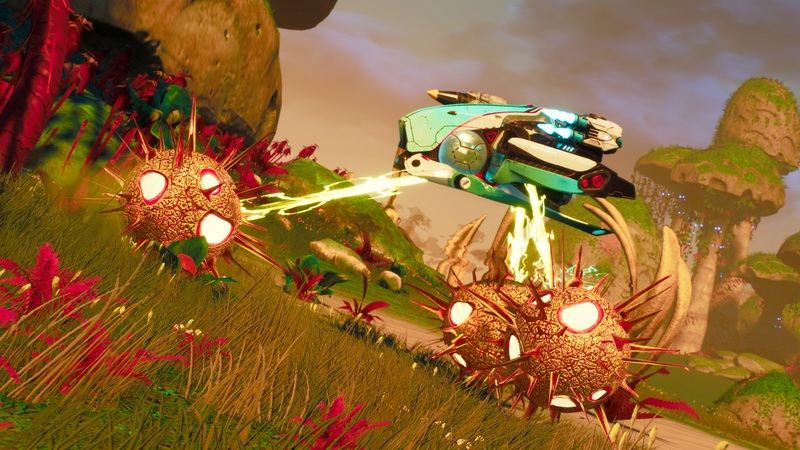 Starlink: Battle for Atlas gives gamers the choice to play digital only, or with the (admittedly) very nice toys. Underneath the shiny ships, weapons, and pilots, there’s a very fun open world exploration game to be found. Starlink is a great way to pass the time with a friend, and younger gamers especially will enjoy it. The most important (and controversial) aspect of the “toys to life” genre is how physical toys are implemented into the digital game. Are the toys a must purchase? In Starlink’s case, the answer is no. The ships, pilots, and weapons in the game can be acquired in two ways: in toy form, and as downloadable content. One of the biggest drawbacks of “toys to life games” doesn’t apply to Starlink; buying the toys isn’t required, and in fact there are advantages for playing entirely digitally, which we’ll discuss later. So how do you get started in Starlink? One way is the physical starter set. These sets are slightly different depending on which system you own. Xbox One and PS4 sets include one ship, one pilot, and three weapons. The Switch version has a different setup: the included ship is the famous Arwing, and you get two pilots and two guns. The Switch version also comes with digital versions of one other ship and one other weapon. If you have the option, the Switch physical starter is the best choice of the three, especially considering the exclusive Starfox missions it includes. Retail price for all the physical starters is $75, though the game can be found at a discount fairly easily. If you prefer to go toyless, two different digital versions of Starlink are available. The $60 standard edition comes with four ships, six pilots, and twelve weapons. The $80 deluxe digital edition ($80) includes all the bells and whistles: five ships, nine pilots, and fifteen weapons. Both of the digital editions on Switch also include Starfox and the Arwing. For the money, the digital editions come with considerably more in-game content than the physical versions, but of course you don’t get the toys. That may be a deal breaker for you because the toys are top notch. All Starlink toys are cross compatible with every system (the only exception is Starfox and the Arwing). You can take your toys to a buddy’s house and use them there no problem, and your friend will even have access for a week after you leave. The most useful (and expensive) of the toys are $25 ship packs, which come with one ship, one pilot, and one weapon. All these toys attach to the system-specific controller handles included in physical starter sets. The ships are very sturdy, well designed, and modular. Mixing and matching wings from one ship to another is fun and these new combinations even show up in the game. The ships light up when connected to the controller handle, adding to the appeal. The pilot figures (one toy for $8) fit inside the ships. They are very nicely detailed, with great paint jobs and cool poses. Weapon packs (two guns for $10) attach to the wings of the ships. 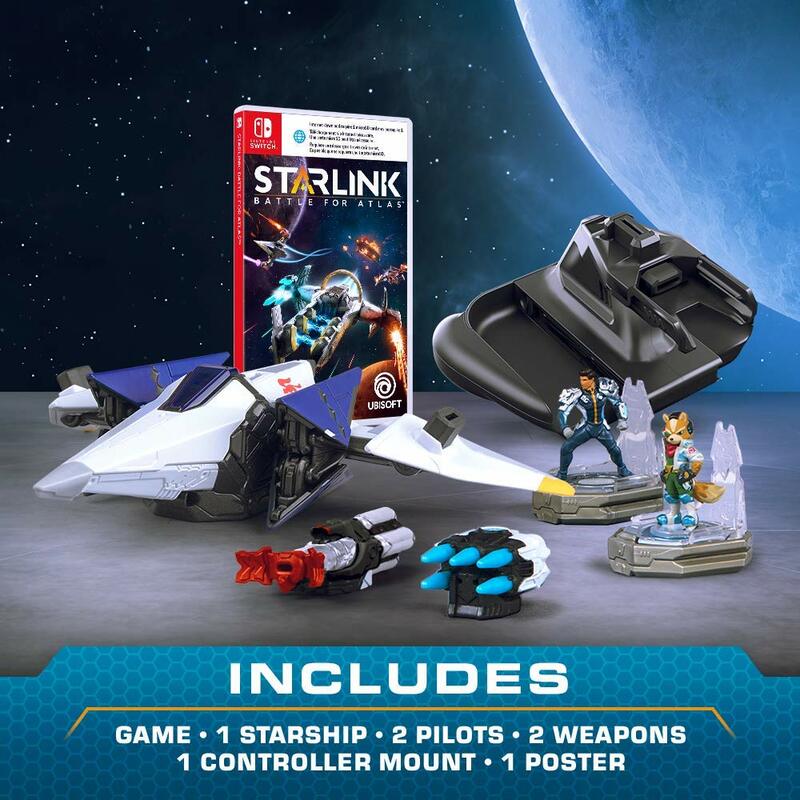 The play factor is very high for these Starlink toys. They are not quite as cool or modular as the gold-standard LEGO Dimensions stuff, but far nicer than statue-like Skylanders and Infinity figures. Note that all the ship packs, pilots, and weapons can be purchased as digital DLC for about half of the cost of the physical toys. If you decide to go with the physical version and use the toys, getting at least one ship pack is a good idea, as these provide extra lives that are very useful in difficult fights. You can get along just fine with the starter set weapons, as enemies never resist more than one element. More variety in weapons is nice, but not required. Pilots are probably the least useful purchase. I beat the game and explored nearly every part of each planet and never ran into an area that required anything that wasn’t in the physical starter set. There’s not a sense of a paywall that other “toys to life” games have. During gameplay, the ships, pilots, and weapons are very impressive. Judge’s big, bulky ship, Neptune, is slow and tanky, while Chase’s bright red Pulse zips around like an F1 Race car. Pilots provide unique skills; Mason (found in every starter) summons an orbital cannon blast, while Fox McCloud (exclusive to the Switch starter) calls for his crew to assist. There’s a nice array of weaponry, ranging from frost Missiles to Volcano bolts and beyond. Elemental types and special weapon effects like Stasis can be exploited to dispose of the bad guys quickly. Pilots level up by earning XP as they use all the different ships and weapons. Level-up points can be spent on different special powers and abilities. This is typical RPG tree stuff but it works fine. On top of these customization options, you can upgrade your ships and weapons with the mods that drop like candy throughout the adventure. There’s plenty of depth here, good enough to appease any min/maxer, but non-ideal builds will probably have little effect on the less thoughtful player’s game experience. That’s probably a good thing, given the obvious kid audience. 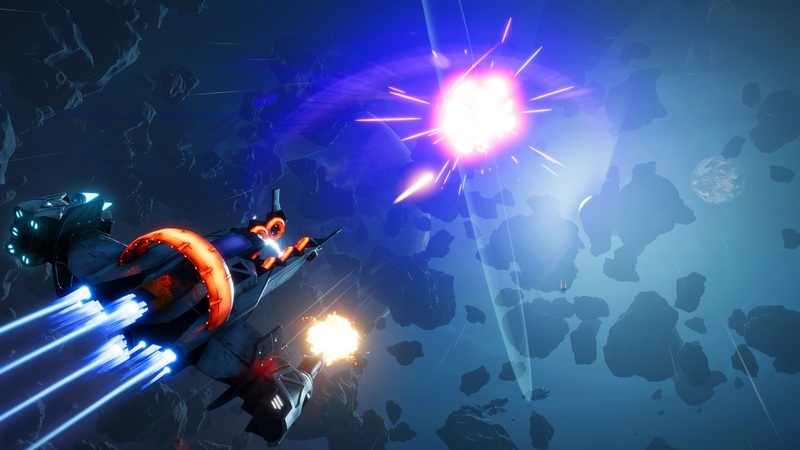 The basic gameplay loop in Starlink: Battle for Atlas is simple. Bad guys called the Legion are invading the galaxy. It’s your job to hold them off by forging alliances with friendly natives on each planet. A handy meter shows the balance of power between the bad guys and your alliance. When things get too far in the baddie’s favor on a particular world, you’ll need to zip on over and clear them out. Taking out extractors, defeating hives, building new outposts, or simply converting the locals to your cause by questing will drive back the Legion. There’s a bit of sameness to the process that may bore more experienced gamers, but that’s the nature of open world games. I would have liked a bit more dogfighting in space, but the lion’s share of the game takes place on the surface of the various planets. The presentation of the game is top notch. The cutscenes and voices are particularly high in quality, and the dozen or so planets are well-rendered and beautiful. Even simple sightseeing or exploration flights are enjoyable as each planet has its own unique flora and fauna. I was somewhat disappointed that there aren’t any heavily-settled planets; each had a few scattered colonizers but that’s it. All the different alien races you encounter are basically interchangeable. It all sort of blends together after a while. But still, there’s a level of polish to everything that makes it fun. The implementation of co-op in Starlink is just as polished. At any time, a second player can join in or drop out, and can even use the same ship, pilot, and weapons as the first player. The second player has the option of playing digitally or using a second controller handle (sold seperately) to use the physical toys. There is a tether of sorts keeping players together; if player two moves too far away, they are teleported back to player one. This is a particularly nice feature for those playing with much younger or less experienced players. If one player’s ship falls in battle, the other can revive them easily. Both players can initiate quests, interact with bases, or open the options menu, but only that player can then finish the interaction. I never found an area that required the use of co-op, but playing with two made things easier and more fun and in general worked seamlessly. Note that you cannot play co-op with the Switch in handheld mode. While the overall experience in Starlink is excellent, there are a few elements that bring it down a notch. Perhaps the most frustrating comes from the difference between digital and physical versions of ships. Ships are basically lives in the game; when one falls, you can switch to another you own. When you are playing digitally, that is, without the controller handle, you have access to your entire collection all the time. If you are using a physical ship, you can only replace it with another physical ship, even if you own another digital one. In other words, you cannot force the game into the “digital version” by removing the controller handle. At least twice I got into places where I was underleveled and died more times than I had physical ships, finally having to respawn and lose my progress in the fight even though I had one digital ship in reserve. To get around this, you can simply not use the controller handle and only play digitally, but you lose the tactile experience of the toys when you do. 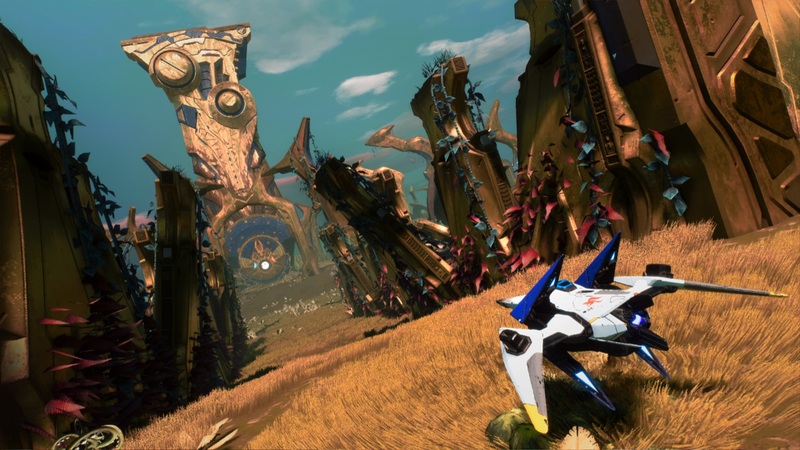 Another minor quibble is the fact that Starlink pretty much dumps you in the middle of things and leaves you to figure it out. I’d have appreciated a more on-the-rails experience for the first hour or so, as the early freedom can be a bit overwhelming. Quests help to guide you in certain directions, but for many, it was unclear what was required to complete them. A more robust tutorial system for all the various types of quest would be a great idea, especially since it’s geared towards younger gamers. Overall, Starlink is a very good game. It’s rewarding in small bursts and there are plenty of cool things to do when you have longer sessions, too. The take on the toys to life genre is a new one: toys aren’t required at all. You’ll probably want to supplement a physical purchase with at least one ship pack. The digital starter, on the other hand, provides more than enough ships, pilots, and weapons for most players. I played Starlink with a 17 year old and a 5 year old, and both of them enjoyed it. The little guy was more enamored by the toys, which is just what you’d expect. Split-screen co-op works perfectly, and blowing up bad guys while flying around in cool spaceships is a great way to spend your gaming time with a buddy. 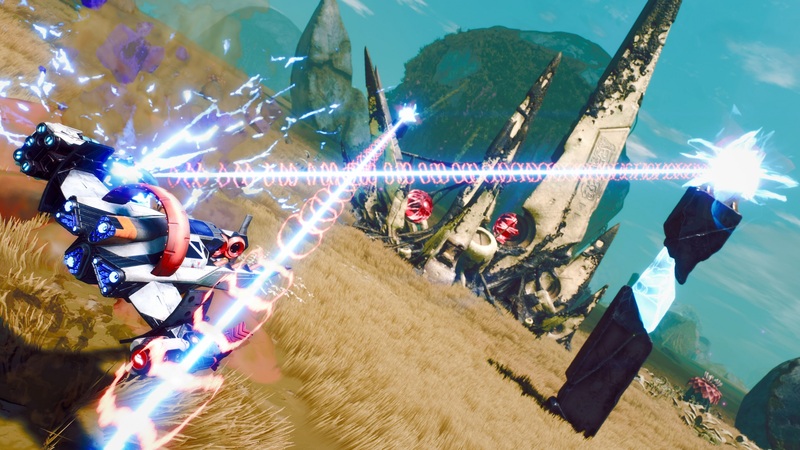 The Co-Optimus Co-Op Review of Starlink: Battle for Atlas is based on the Nintendo Switch version of the game. The Co-Op Experience: Starlink: Battle for Atlas features drop-in/drop-out split-screen co-op, which you can start playing right away. Each physical toy unlocks a digital copy when connected to a controller mount. You and a friend can play with the same starship, one physical and one digital, from the moment you buy a Starlink: Battle for Atlas starter pack. 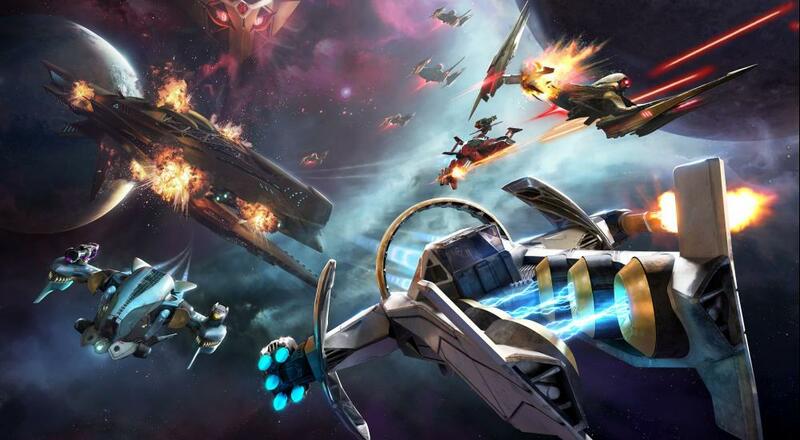 Additional starships, pilots, and weapons unlock more creative ways to play together. Page created in 1.5707 seconds.